Geoffrey Rush wins defamation case against The Daily Telegraph. Geoffrey Rush has won his defamation case against The Daily Telegraph. 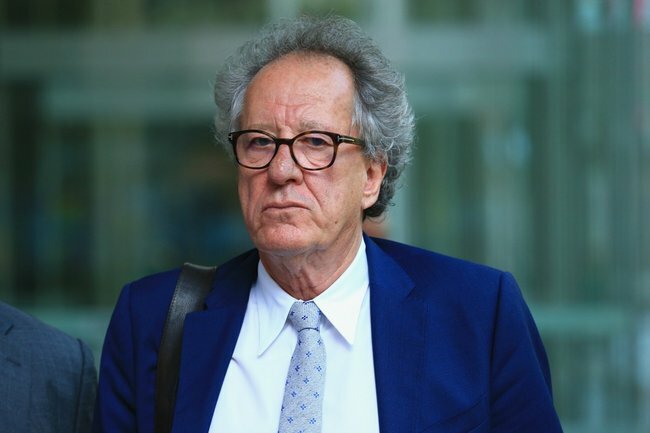 Geoffrey Rush has won his defamation case against a Sydney newspaper publisher and journalist over articles saying he’d been accused of inappropriate behaviour towards a female co-star. The 67-year-old actor had sued the Daily Telegraph‘s publisher and journalist Jonathon Moran over two stories and a poster published in late 2017. In Sydney’s Federal Court on Thursday, Justice Michael Wigney found Rush had been defamed. “Nationwide News and Mr Moran did not make out their truth defence,” the judge said. The Telegraph publications related to an allegation Rush behaved inappropriately toward a co-star – later revealed to be Eryn Jean Norvill – during a Sydney Theatre Company production of King Lear. Norvill was a defence witness in last year’s trial, telling the court Rush deliberately stroked the side of her breast during a preview performance when her character was dead onstage. “It couldn’t have been an accident because it was slow and pressured,” she said. He also stroked Norvill’s lower back backstage, made groping gestures toward her during rehearsal and would sometimes growl and call her yummy, she alleged. Rush said it was possible he used the word yummy – which had “a spirit to it” – but otherwise denied the allegations, saying that he thought he and Norvill had enjoyed a “very sparky, congenial rapport”. He became emotional when he said that to perform the death scene, he imagined “it was my own real-life daughter and that she’d been hit by a bus on the street near where we live … and I knew she was gone”. Justice Wigney on Thursday said he wasn’t persuaded that Norvill’s evidence was “credible or reliable” while he accepted Rush’s testimony.